Join us for ELab’s 2018 Spring Information Session. This year’s Info Session will feature a Business Model Workshop with Indie.biz founder, Michael Megalli. 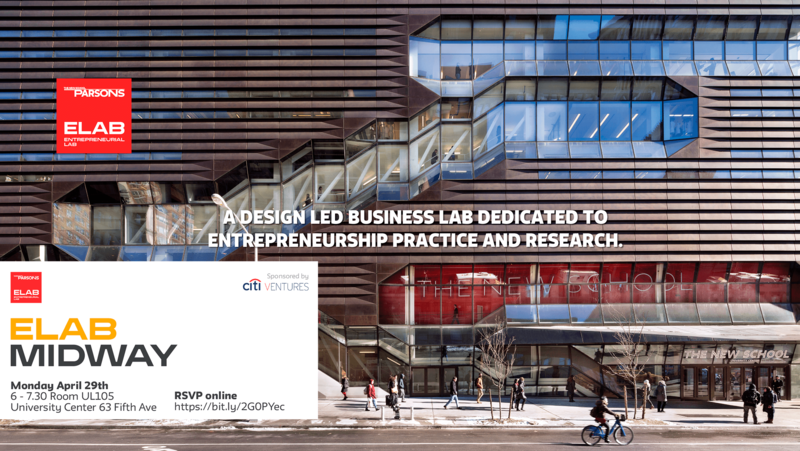 Interested in design-driven or impact entrepreneurship? Are you an alumni or will you be a recent graduate from The New School by December 2018? Have a great idea for a business, a current capstone, or school project, new idea…? Not sure how to monetize, or what business model to use? No matter what stage you’re at, you’ll come away with a better picture of what it takes and learn about ELab’s Incubator program for the 2018 Cohort year. The 2018 Call for ELab’s Incubator program is in the Fall. Join us to meet the ELab team, Venture Associates, and scope out one of our partner spaces. 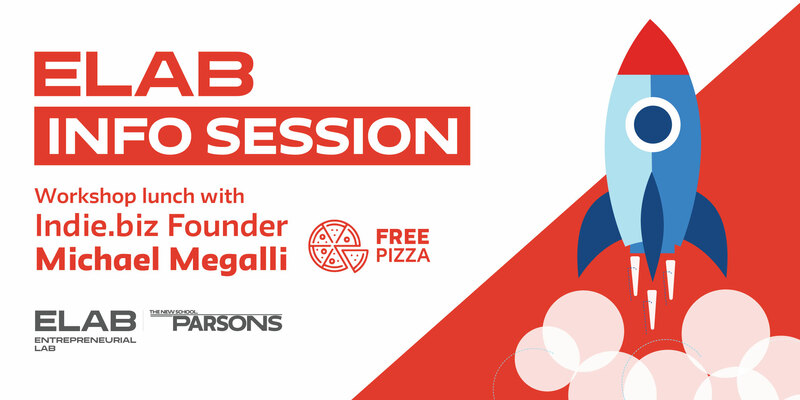 There will be FREE PIZZA, engaging discussion and a great opportunity to network!